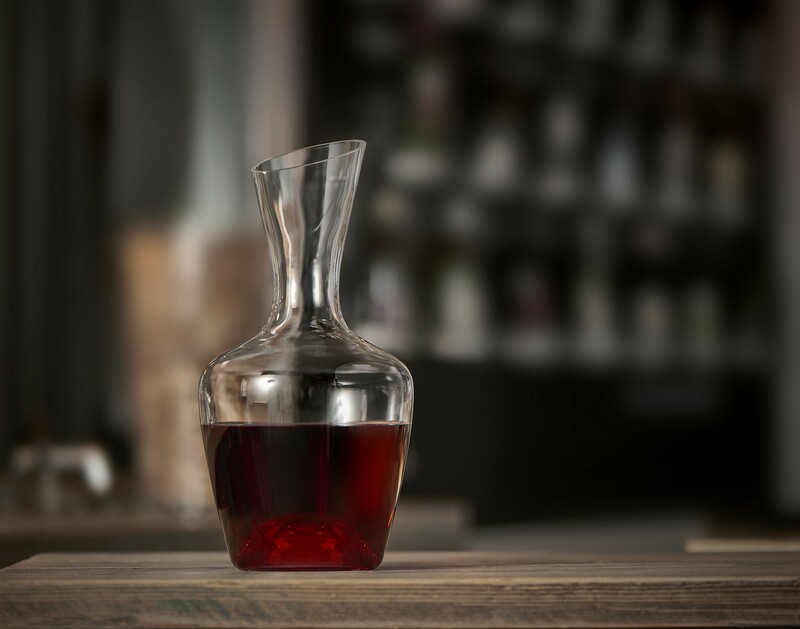 This elegant, glass decanter is available in two forms: 'femme' and 'homme'. Because of the round shapes and high shoulders of the 'homme' this version is extremely suitable for sturdy, complex and powerful grape varieties. 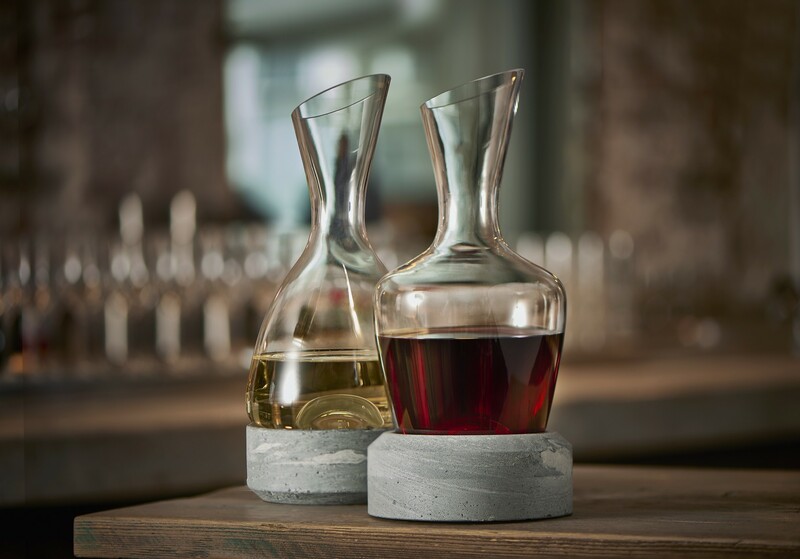 The shape of the decanter ensures that there is enough space for the oxygen therefore it is suitable for both red and white grape varieties. The elegant shape of the femme makes you think of the graceful lines of a ball gown. The tapered shape keeps the wine flavors compact and the acidity fresh and non-alcoholic. 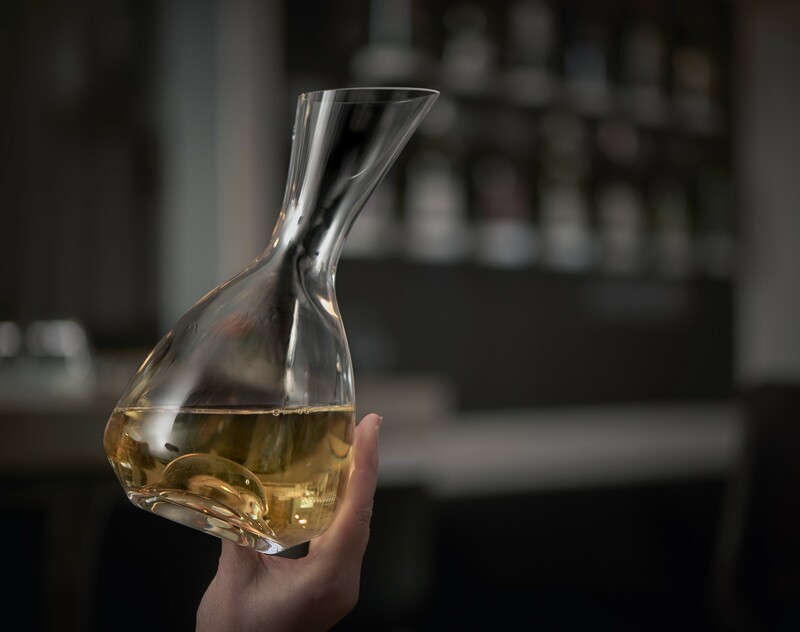 Because of the specific shape of the decanter, the wine reacts with oxygen in a controlled manner and is therefore particularly suitable for complex, young and fruity wine types with a full body. 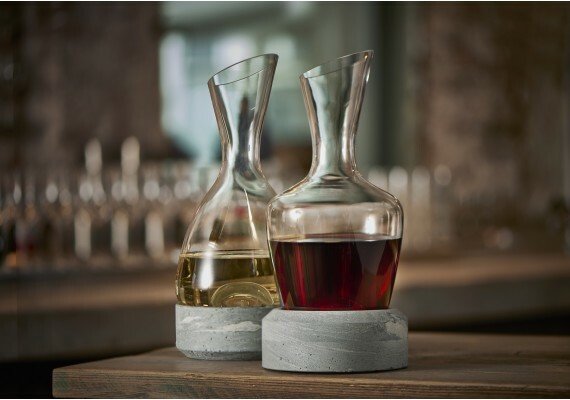 These decanters form a beautiful set with this soapstone base that keeps wine at the right temperature. 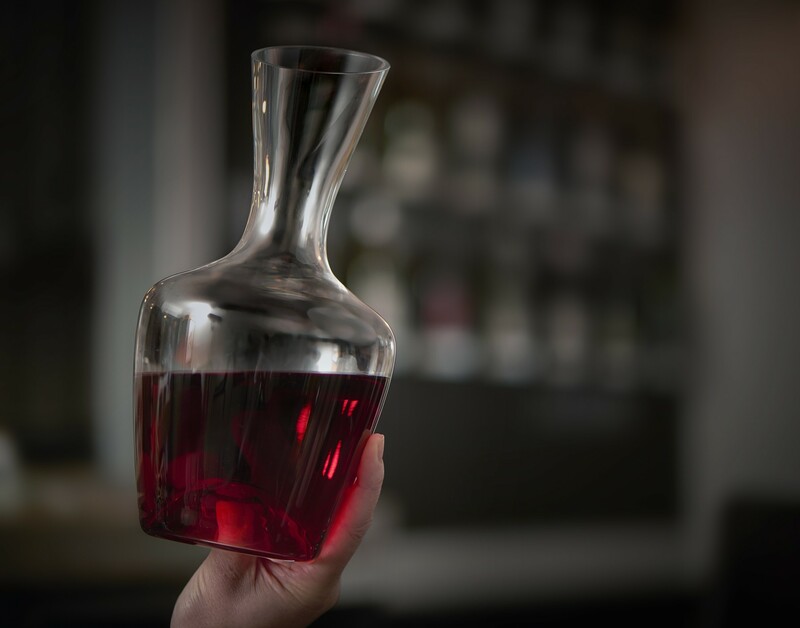 The 'Femme' decanter has a diameter of 13.8 cm. 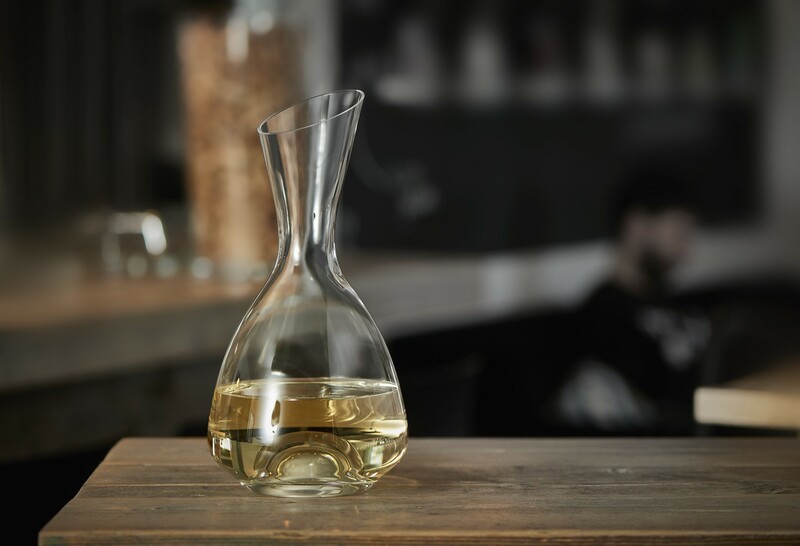 The 'Homme' decanter has a diameter of 14.6 cm. Both have a volume of 1.5 liters.